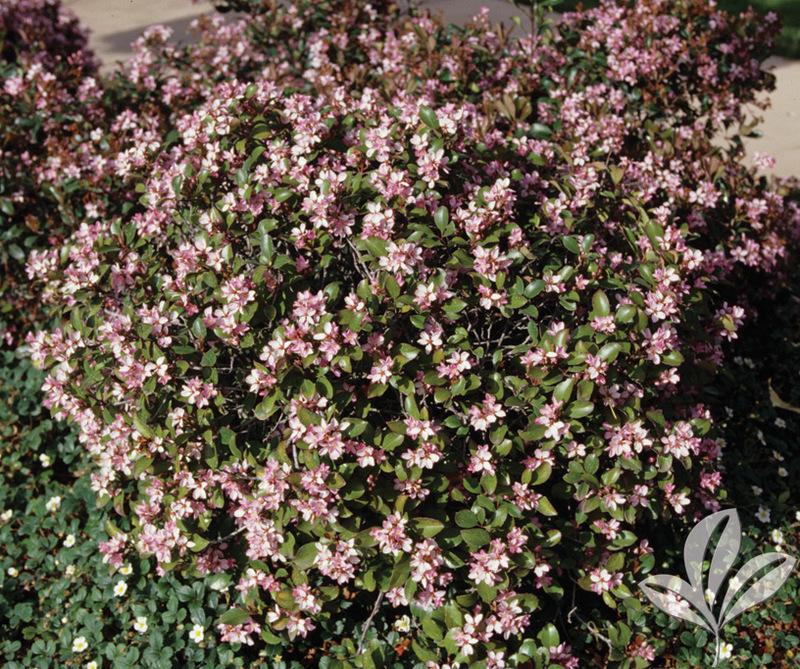 A showy evergreen shrub that has lavender-pink to purple-pink, bell-shaped blooms appearing spring to fall. Dark green glossy foliage turns bronze-purple with the onset of cooler weather. Easy to grow and tolerant of most soil types. 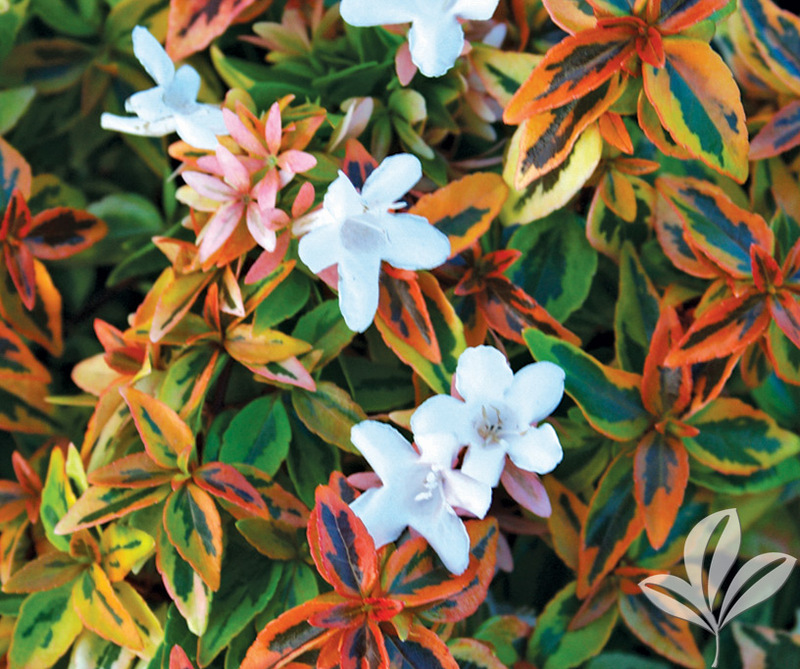 Gracefully arching shrub displays bright, glossy foliage backing fragrant, bell-shaped white flowers that bloom all summer. Use as screen, hedge or barrier. Beautiful landscape specimen. Evergreen to semi-evergreen. 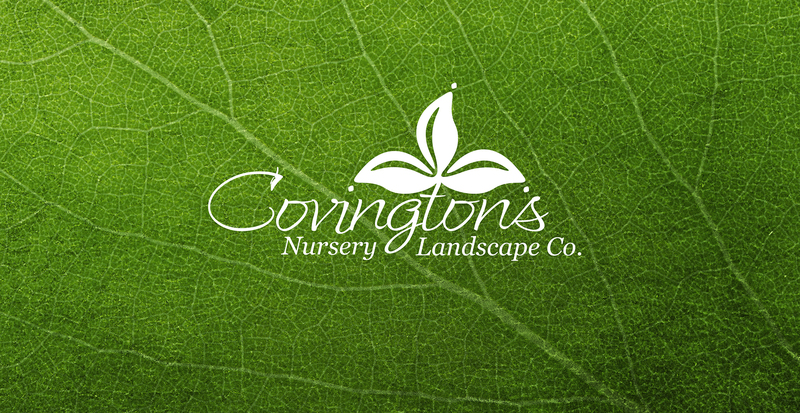 A low growing evergreen shrub valued for its colorful leaves in ever-changing hues of green, yellow, orange and red. Pink buds open to white flowers from summer to fall. 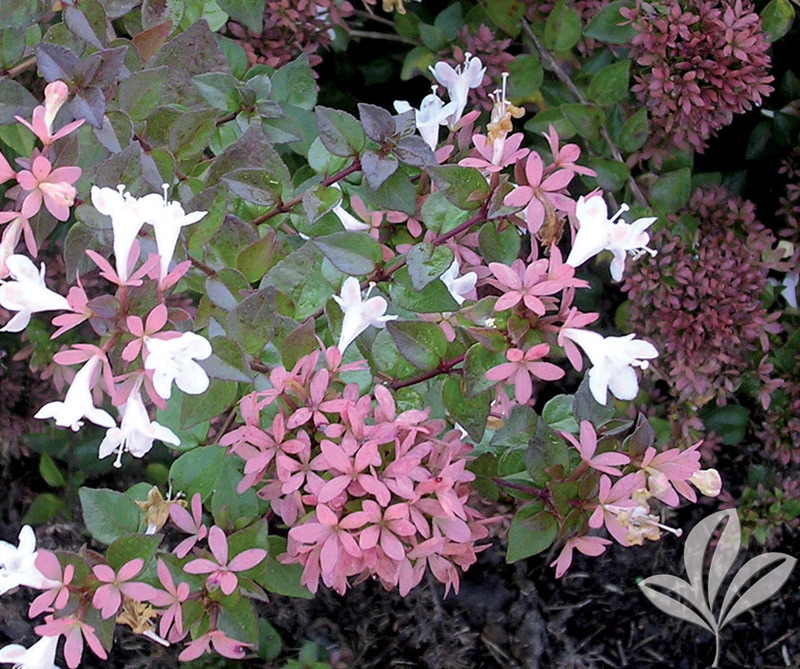 This new introduction to the Abelia family has a compact habit, maintaining its color and form throughout the year. 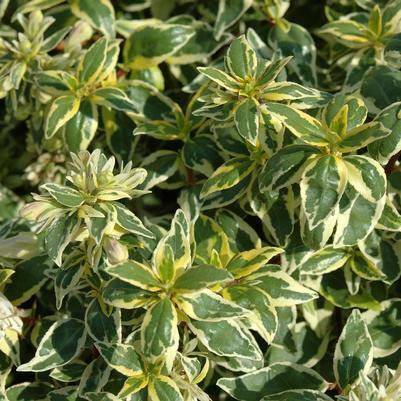 Variegated foliage emerge medium green with creamy yellow margins and ages to silvery-green with cream margins. 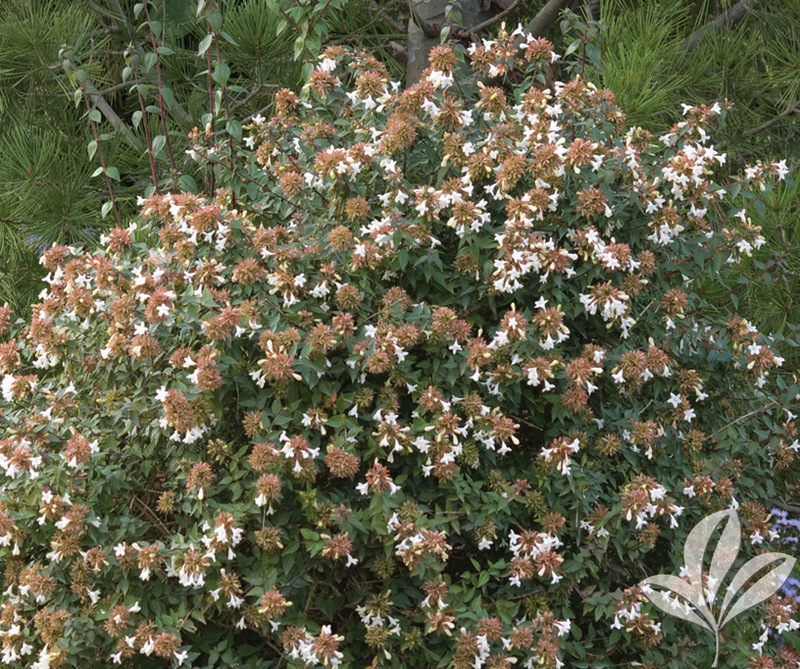 Fragrant white tubular flowers appear mid-summer to fall. Easy to maintain shape. Evergreen. Colorful evergreen shrub. Small but fragrant white trumpet flowers bloom spring through summer. Small pink modified leaves at the base of each flower remain once the bloom fades. Foliage turns purple-green in winter. 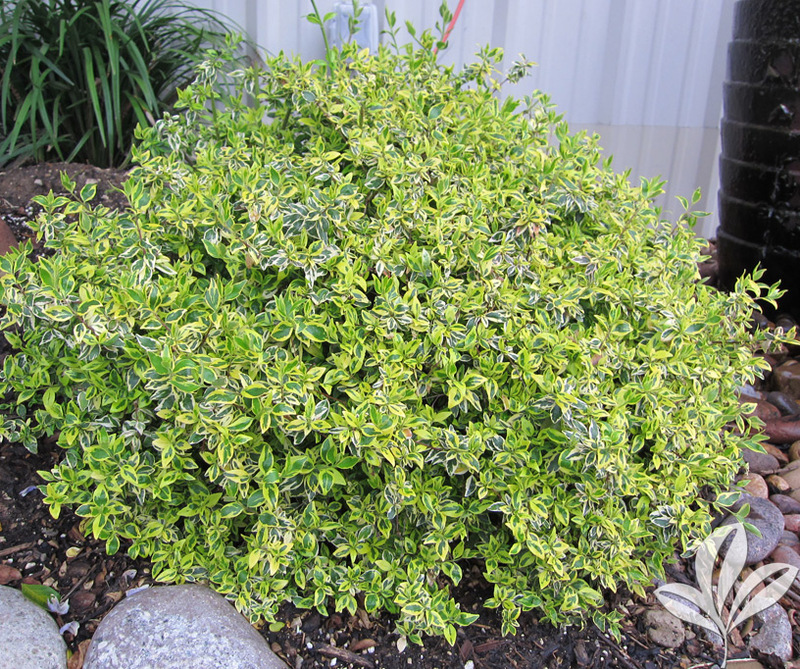 Medium-sized evergreen shrub with leaves that are yellow with green centers and mature to ivory and green. Light pink flowers are present all summer. A colorful evergreen shrub displaying green, gold, orange and red leaves. Small but fragrant white trumpet flowers bloom summer through fall. Grows well in a variety of conditions. Easy to maintain. Thick and massive gray-green leaves are formed from a basal rosette. Leaves are edged with sharp spines. 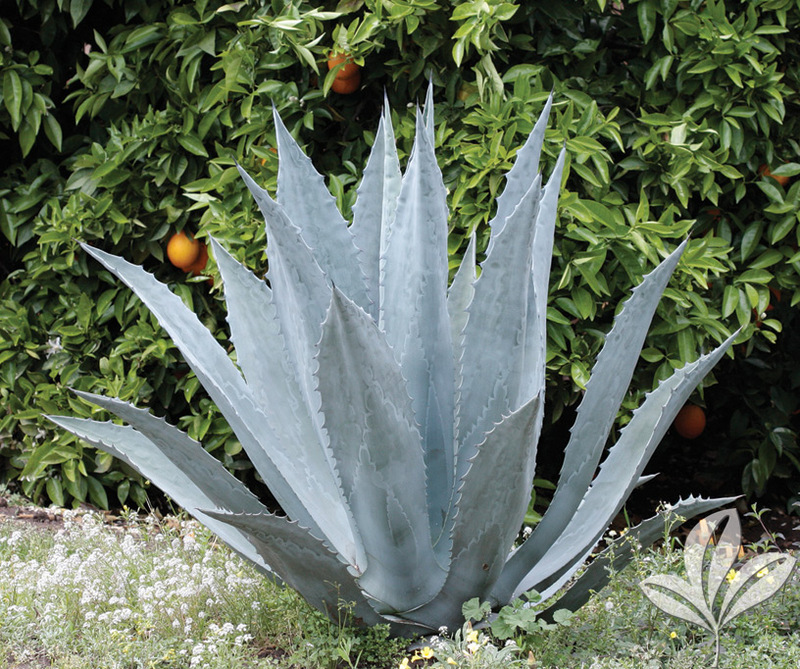 Great in rock, succulent or cactus gardens. Heat and drought tolerant. Thick and massive gray-green leaves have cream to yellow margins. Leaves are edged with sharp spines. 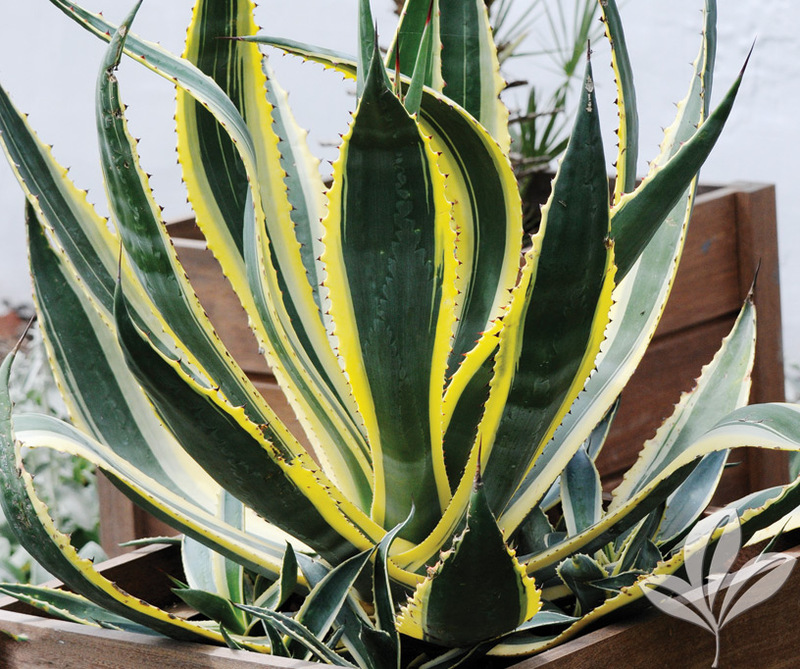 Great in rock, succulent or cactus gardens. Heat and drought tolerant. 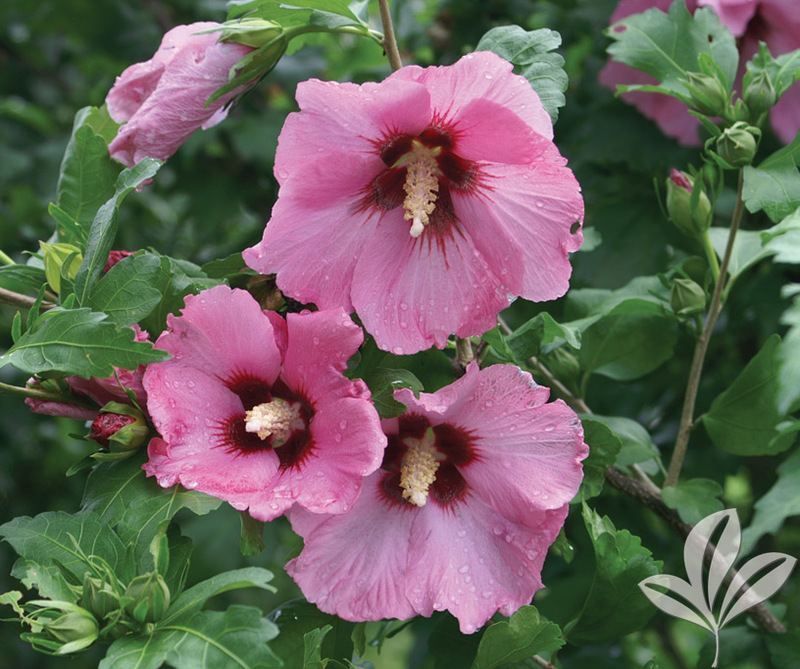 Upright deciduous shrub with showy flowers that are pink with a darker eye. Blooms are visible all summer long. Hardy and easy to grow.